Home > Books > Superhero Me! Attention all superheroes! Here?s a new touch-and-feel book from Karen Katz! The toddler boys in this touch-and-feel board book include a superhero in a sleek cape, an astronaut in a shiny spacesuit, a brave knight with a shimmery shield, and more. 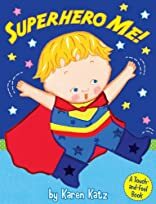 Readers will love looking at the eye-catching playful pictures, touching the shiny cloth embedded into every spread, and acting like superheroes themselves! 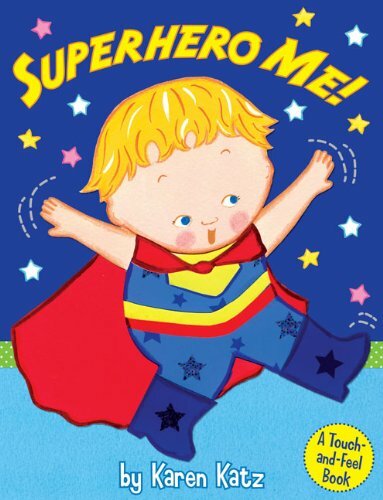 It?s the perfect companion book to Twinkle Toes, Karen Katz?s popular novelty book for little girls.